The anti-Russia tirades going on in parts of the US government and media are aimed at weakening or hurting the Trump presidency. Experts say the Democrats are not happy with the election result and are trying to pin the loss on Russia. 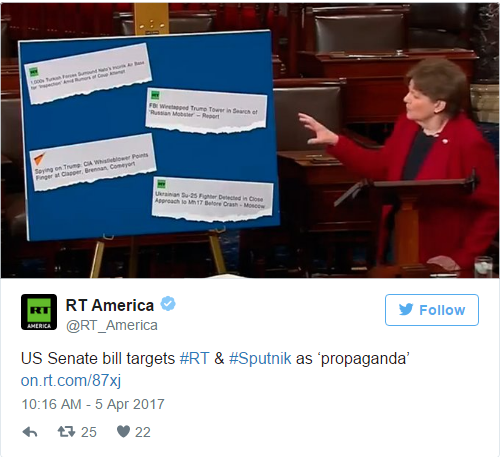 US Senator Jeanne Shaheen on Tuesday singled out Russian news sources RT and Sputnik comparing them to Nazi propaganda. Shaheen was speaking in the Senate to lobby for the bill she is proposing in response to Russia’s alleged meddling in last year’s US presidential election. RT asked political cartoonist Ted Rall, whether the comparison made by the New Hampshire senator was fair. “Absurd! I don’t even think we have to talk about fairness,” he said. “It is a smear campaign. Essentially the argument that is being made is that any television or broadcast, or print outlet that is financially supported by a government outside of the US, especially the government that is not aligned with the interests of the US geopolitically, is by definition a danger to the US. The BBC is obviously state-sponsored, but because the US and the UK are close allies – you don’t see similar arguments being made about the influence of the BBC on US elections. Similarly, on the other hand, you do see concerns about Press TV, which is the Iranian outlet. During the Bush years there was a lot of brouhaha about the alleged influence of Al Jazeera on US politics,” he said. 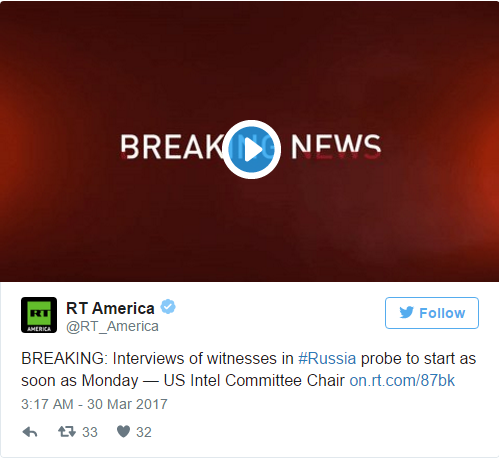 “Aside from the fact that RT is a Russian state-sponsored television network, there just isn’t any direct evidence that RT has been engaging in the kind of activities that they claim. If you follow this trail, and you follow this thread as far as it goes logically, what you end up with is nothing more than the US doesn’t like Russia. Therefore the Democratic Party who doesn’t like the results of the election is trying to pin the lost election on Russia. It is kind of baffling that otherwise reputable media outlets are going along with this. If most reporters went to their editors with the story like this that was so completely unsourced, they’d be laughed out of their editor’s office. Yet, this is a major story that is attracting a congressional investigation, and here we’re talking about it,” Rall said. “It is amazing that she would publically embarrass herself in the way she has. What I can tell from her motivation is she is a strong Hillary Clinton supporter. In fact in 2007, when Clinton ran against Barack Obama in the primaries, her husband was one of Hillary’s campaign managers. So they go way back with the Clintons. She’s probably very upset that Hillary Clinton is not the President, perhaps continuing the campaign against Trump. Certainly part of the anti-Russia tirades that are going on in various parts of our government and our media is really aimed at weakening or hurting the Trump presidency. So that is probably why she’s doing it,” she said. And the way Shaheen is doing it is “very ignorant,” Kwiatkowski said. Jeanne Shaheen was part of the Superdelegate group in New Hampshire. When Bernie Sanders won the popular vote in New Hampshire back in the spring, when they were having their Democratic primary, he was to have received 2/3 of the electoral votes. In fact, he only received half, and Hillary Clinton received half. She received half of these electoral votes, because of the Superdelegates of which Shaheen’s husband and herself were Superdelegates. So for her to specifically complain that RT, Sputnik news, and others were undermining American democracy – is very, very rich; it is almost poignant in its irony,” she added. Richard Becker, from the anti-war ANSWER coalition, noted that the senator was perfectly fine with the “falsified news” about Iraq possessing weapons of mass destruction which led to the invasion of the country and resulted in huge damage to the entire region. “It is hard to know where to actually begin with Shaheen. It’s worth remembering that she swallowed whole all the falsified news which was to justify the 2003 invasion and occupation of Iraq. She resoundingly stood for that. And that is something that has torn apart the whole region. 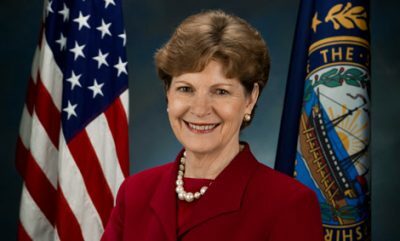 The damage what they did, you would think that the people of New Hampshire might want to have Senator Shaheen investigated for what her career has actually done,” he said. Becker also said the US government has repeatedly intervened in elections in other countries. “When they don’t like the outcome of democratic elections, the CIA of the US has overthrown dozens, scores of governments of countries, because they didn’t approve of how the people in those countries voted in elections. A lot of the world must find this to be ironically amusing to hear the accusations,” he told RT.